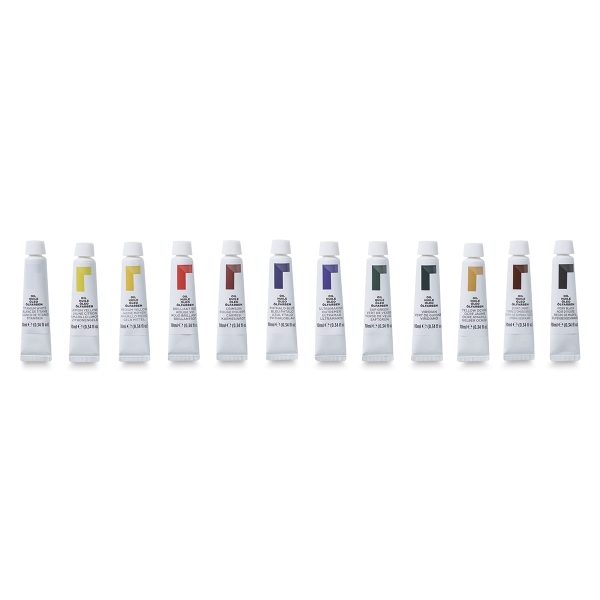 The popularity of Reeves Oil Colors can be attributed to their extraordinary versatility. 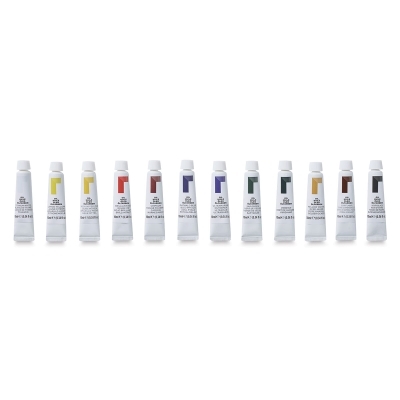 Great for students and beginning artists, they offer high quality and a value price. 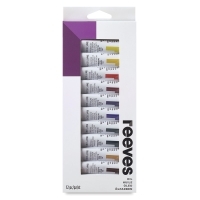 Reeves Oil Colors are excellent for traditional painting techniques such as blending, glazing, and scumbling. 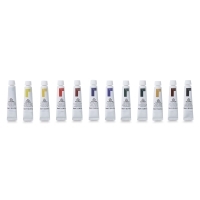 This set contains 12 colors in 10 ml tubes, including Titanium White, Lemon Yellow, Medium Yellow, Brilliant Red, Crimson, Phthalo Blue, Ultramarine, Sap Green, Viridian Hue, Yellow Ochre, Burnt Umber, and Ivory Black.